Nanise is a multi-ethnic, transnational Pacific Islander of Fijian, Euro-American, and Papua New Guinean descent. She has worked in Pacific Islands development for 13 years, and is a practicing cultural anthropologist. Nanise is currently a PhD candidate (ABD) in Cultural Anthropology at the University of Hawai’i at Manoa. 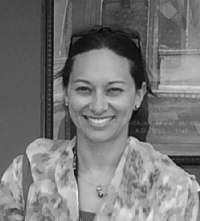 Her research focuses on the development of a UNESCO World Heritage site in Levuka, Fiji, and in particular how Fiji’s heritage stakeholders interpret UNESCO’s universal heritage template into local contexts. Nanise’s other interests and expertise include: Indigenous anthropology; economic anthropology; development aid policy and practice in the Pacific region; Japan’s aid practices in the Pacific region; climate change, gender and tourism. In her work with the Japanese and Cook Islands governments, Nanise has also worked on projects in the areas of Public Health, Water & Sanitation, and ICT & Education.